Fresh greens included in the diet of almost everyone. The ability to disrupt the spicy weed from the garden and immediately put in a salad are not all. We have to think about keeping it. The new models of refrigerators provided with a "zero" camera that is ideal for storing herbs, but if you have in the fridge is no such office, take advantage of other ways. Buy plastic vacuum containers of well-known companies which have developed entire product lines specifically designed for storing delicate plants in the fridge. The containers are sold in different shapes, volumes and colors. Before placing in a container of herbs and lettuce need to sort, wash and dry. Special containers are expensive, but if your fridge accumulated a lot of greenery, it is better to buy them than it will to throw away spoiled product. Save greens by using glass jars. Purchased bundles free from yarn and rubber bands, garden grass cut off the roots, discard the rotten parts. Pour cold water into a wide and deep bowl. Fold the plants into the container and rinse well. Lay on the table a paper towel. Wet greens dry and leave to dry for about fifteen minutes. Then fold in a completely dry glass jar, close and clean the plastic cover. Put in the fridge. Without the inflow of air herbs - dill, parsley, celery, lovage - can be stored for two to three weeks. Tender plants - marjoram, cilantro, the salad is stored is much smaller, so always check the tab. Save the greens in a plastic bag. Loop plants, remove the rotten leaves and stems, do not wash. Fold into a tight package. Tie it so that the inflated ball with the herbsinside Yu. Put the ball in the fridge. In this way bundles of spicy and the salad will remain for more than a week. Pack the greens in wet paper. For this method suitable Kraft paper or thick paper towel, the main thing that the paper has spread from moisture. Clean spicy grass wrapped in a towel completely. Sprinkle the paper with water from a flower spray bottle or wet under the tap. Put the bundle in a plastic bag and refrigerate. Do not use newsprint - printing ink is harmful to the body. 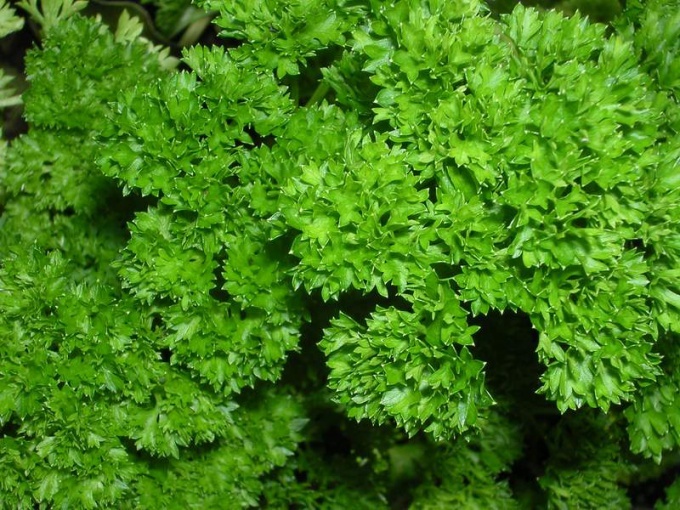 Dill, parsley, celery, cilantro can be stored without a refrigerator. Put a bunch in a glass of water, position the glass so that it does not fall under the bright sunlight. Tsepinite greens if necessary. Save the herbs in the freezer. Crush them and put them in a plastic bag or container. Put in the freezer. Greens from the freezer does not lose its beneficial properties all winter.